[O]n March 19 2013, the GEF and the STAP co-organized a workshop to explore the technologies, business models, and the potential for future GEF projects and programs in the area of green chemistry and bio-based chemicals. “Green chemistry, also known as sustainable chemistry, is the design of chemical products and processes that reduce or eliminate the use or generation of hazardous substances. Green chemistry applies across the life cycle of a chemical product, including its design, manufacture, and use.” (US EPA definition). Many of green chemistry developments utilize the principle of “cradle to cradle” and avoid waste generation “benign by design”. Green chemistry field is dynamic and accelerating area for innovation. Some of green chemistry developments, however, if commercialized and broadly adopted could have a significant potential in many industries reducing their environmental footprint. 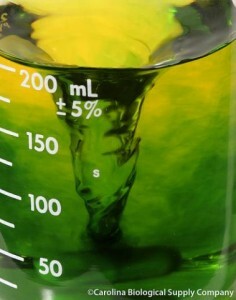 Among relevant categories of green chemistry applications are bio-based alternatives substituting fossil-based chemicals, environmentally sound approaches to water purification; biodegradable polymers including biodegradable plastics; environmentally friendly refrigerants; bio-based batteries; substitution of hazardous chemicals in consumer products including toys and electronics and many others. Promote studies of countries and sectors that establish baselines and opportunities for green chemistry applications assessing maturity of potential “leapfrog” technologies, institutional readiness and other factors. Identify key cross-cutting multi-focal area green chemistry concepts that are candidates for GEF-6 and could be included in strategic documents. Agenda for the workshop can be downloaded here along with the presentations below. [F]or GEF-4, STAP has undergone major structural reform in order to undertake its new strategic role in advising on the scientific content of all focal area strategies, a new operational role in screening all proposals for Full Size Projects, and a continuing advisory role in providing guidance and outputs on topics requested by GEF agencies. Additionally, STAP has been active in a number of GEF-funded targeted research projects on issues important to the agencies such as developing a carbon tracking tool for project managers.